Enhance your bathroom basin with this attractive, high-performing bathroom tapware set. The Square Basin Set boasts stylish looks that will transform any bathroom into a modern space. 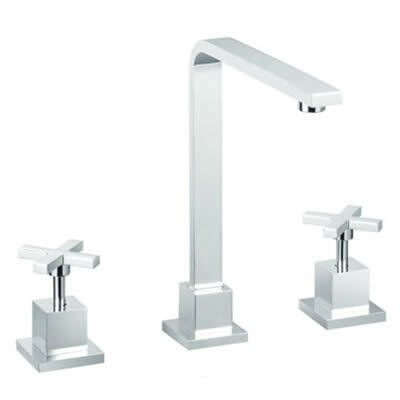 The Square Basin Set consists of a tap and two lever handles for operation. It is designed for straightforward installation in standard Australian bathroom basins. It features a very contemporary and ergonomic design. 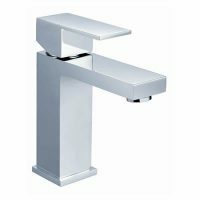 The solid lever handles are easy to grip and the tap is very easy to use. 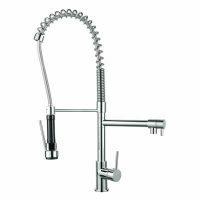 The tap body and handles all feature a stunning chrome finish, which makes it both attractive and highly practical. The Square Basin Set not only meets Australian standards of quality, but it is also a Watermark and WELS approved product. It is rated as WELS 5-star and has a water flow rate of 5.5 litres per minute. This tap set consists of high quality internal parts. The tap body and handles are made of solid brass, making it very durable. Furthermore, the internals, finish and tap body are all covered by genuine manufacturer guarantees. Rest assured, this tap is built to last the rigors of daily bathroom usage. So, purchase a Square Basin Set today and enhance your dull bathroom on a budget. 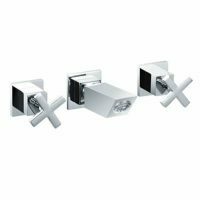 Buy this attractive bathroom tapware set at the best price from Ross’s Discount Home Centre!